Like a lot of recent TakeOvers, this has some matches without great build but filled with top tier talent. This is one of them. Johnny Gargano and Andrade Almas are my two favorite wrestlers in NXT. By a fairly wide margin. This is my pick for the show stealer. Almas winning makes more sense. Gargano's the kind of babyface who can afford it (especially if Tommaso Ciampa makes an appearance) and Almas needs it. He's lost too often and with Vega keeping him focused, he should win. 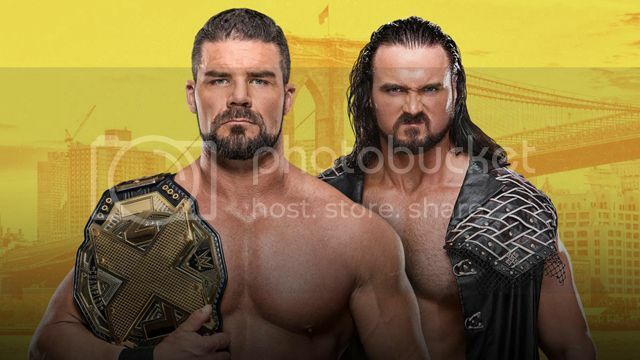 I know they seem to love Aleister Black, but this not being Hideo Itami vs. Kassius Ohno is strange to me. That's exactly where it was building to. I think this one is quite obvious. Black is headed for big things, while it doesn't seem like Itami is on the same path. I'm pretty sure this is the end of Itami's NXT run. He's been there for a while and it's kind of NXT Title or bust for him at this point. He's not winning the title, so I say he loses here and gets called up in the next Superstar Shakeup, where he'll unfortunately not do a lot most likely. I say this as someone who loves Itami. People aren't talking about it enough, but the Authors of Pain have been one of the best tag teams in the world this year. The only teams I'd put ahead of them in terms of performance would be The South Pacific Power Trip and British Strong Style. #DIY and the Revival were great too, but haven't done a ton this year. Anyway, this matchup with SAnitY should be a chaotic brawl, with suits both teams. 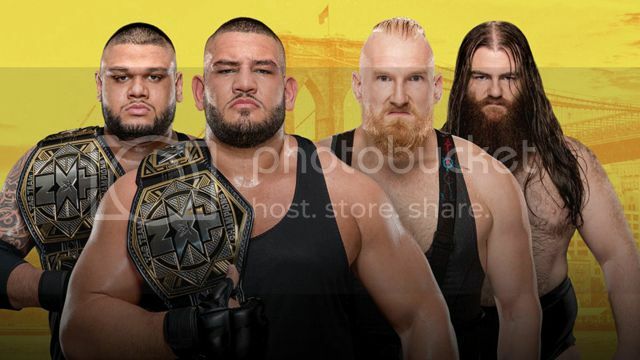 SAnitY is a lot of fun, but I can't see them as the guys to dethrone AOP and hand them their first loss. After TakeOver: Orlando, I felt this was a foregone conclusion. Ember Moon lost because Asuka resorted to a cheap trick. I fully assumed Ember would be the one to finally take the title from Asuka. Part of me feels like it could go the other way, though. With women like Kairi Shane and Shayna Baszler on the way, I could see them not wanting to miss out on the chance to book something big like that. Still, I'm going with my gut and picking Ember to pull it off. I just cannot get interested in this. There's no reason for me to want to see Drew McIntyre win anything expect for his name value. Like Black/Itami, this doesn't make as much sense as Roode's feud with Roderick Strong is much more interesting. There's a reason for even the casual viewer to root for Roddy. The personal issues are easy to relate to. Anyway, Drew and Roode feels like something put together simply because of name value. I'm thinking Roode retains. Drew will come close, though.